In today's market, there are countless supplements, but few factors are to be considered when choosing a food supplements. Your choice to take a supplement depends on your every day's diet and obviously doctor's recommendation. But most of the experts agree the best source of essential nutrients is wholesome food. But it is also difficult to verify that are we getting the right amount of nutrients from wholesome food? If there is any deficiency, then it will be fulfilled by supplements. In this post, I'm going to share with you a very effective supplement that helps to promote female balance which called Chaste Berry supplement from Zenith Nutrition. I am sure this article will be a very useful article for you. So, let’s see how these Zenith Nutrition Chaste Berry Capsules help for women balance. 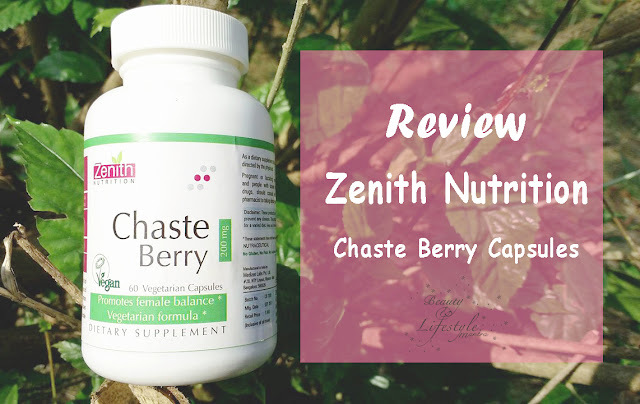 Zenith Nutrition Chaste Berry is a traditional herbal remedy derived from the fruit of Vitex agnus castus, a shrub which grows in temperate regions of Asia.In ancient times it was a symbol of chastity, hence its common name, the chasteberry tree. Chaste berry (Vitex) extract has been researched due to its reputation for supporting healthy female hormonal levels during menopause. This standardized formula contains a minimum of 0.5% agnusides, the active component of chaste berry. Chasteberry, a member of the mint family also known as Vitex agnus-castus, is the fruit of the chaste tree. The plant has a very interesting history. During the ancient times, people believed that it helped promote chastity, hence its name. There were many other stories about this plant in ancient times. Today, this plant is grown both for its medicinal uses and as an ornamental plant. Zenith Nutrition Chaste Berry Supplement capsules are Vegetarian and are free from Sugar, Lactose, Flavour, Salt, Gluten, Color, Fish and other preservatives. It is safe for those who have prone to allergies as well. Zenith Chaste Berry Vegicaps specially designed for females to deal with female hormonal imbalances. 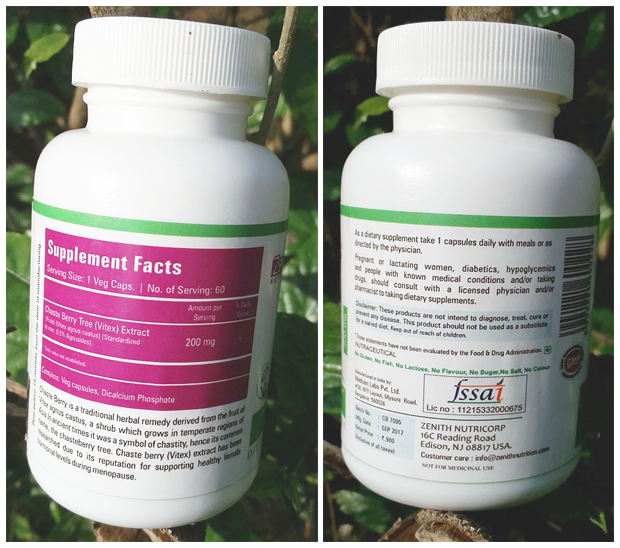 The Zenith Nutrition Chaste Berry Capsules comes in a white colored plastic bottle with screw lids. Inside the lids, it is sealed with a silver foil. The capsules are just like other capsules in size and it has no smell and no taste while having it. Overall Zenith Nutrition Chaste Berry Supplement Capsules helps if you are dealing with any female problems or struggle with hormone issues. 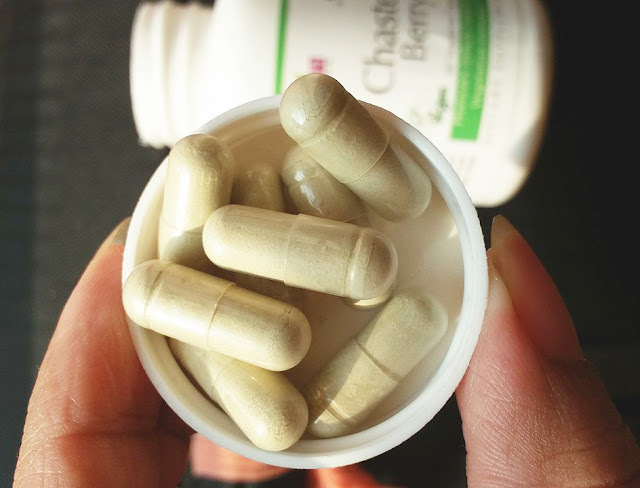 Zenith Nutrition Chaste Berry Supplement Capsules a boon for many women for sure. Just make sure before taking any supplement you consult with your doctor first. Zenith supplements are really good. I am using their supplements. This looks good as it solves female issues. Zenith products are really promising, loved this detailed review. This brand is offering some real good supplements for everyone's needs. Female health and needs are well taken care by Zenith. Thank you for sharing with us the details. Heard alot about Zenith . Really they are offering amazing supplements. Thanks for the honest review. Very interesting and informative post. Zenith nutrition seems to be best for supplements. Great review.